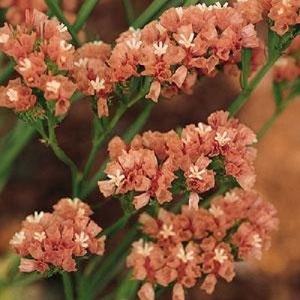 Limonium ‘Apricot’ has attractive clouds of tiny flowers in mid to late summer, typically July to September. The flowers sit on sturdy stalks 70-90cm high. They make good border and container plants, and long-lived cut and dried flowers.